Maybe it's because it's finally Spring but I'm currently on a mission to organise my makeup and jewellery collection. Right now beauty products are overflowing so I'm in need of some inexpensive but lovely storage. 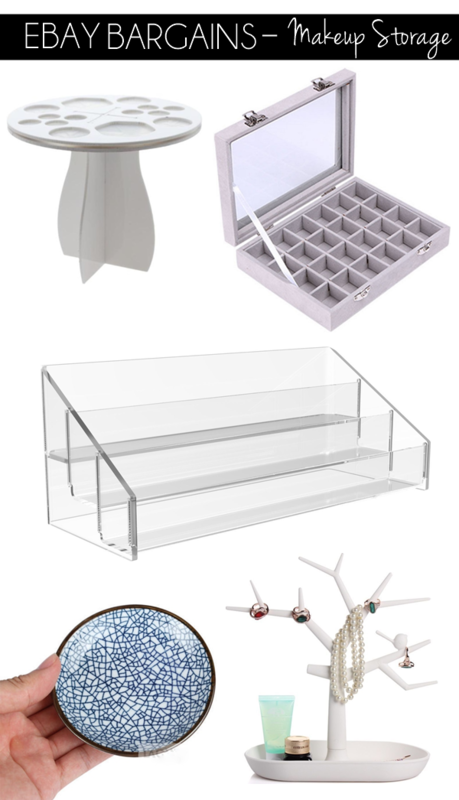 Above are 5 unique storage options that start from only £2..60 that I'm totally in love with - especially that little ring/trinket dish! A few years ago I purchased a glitter version of this nail polish stand and it's still going strong but I must admit glitter does clash with my more simplistic decor nowadays so a chic clear one like this would be perfect! Of course this may fit your entire nail polish collection so that it's beautifully displayed but for me a stand like this is perfect for displaying my favourite nail polishes on. Clear acrylic storage/stands really do last years and look great with any decor! Another acrylic item I wanted to quickly mention is this lipstick holder that again I already own (I actually have 2!). Much like the nail polish stand it's tiered so that it perfectly displays each product and looks ultra neat sat on your desk. I use one for my favourite lipsticks and the other for lipglosses and balms. Just a really practical inexpensive item that you need if you love lip products and want to see them out on your desk! I remember when I first spotted an item like this that held makeup brushes upside down to dry and it was £30, and now thankfully more budget ones have become available on eBay! This holder can dry up to 14 brushes at a time and comes in 3 colour choices, it can also be used as storage for your brushes (the correct way) when you aren't using it to dry them. A simple concept but so useful! Also it's the cheapest brush drying stand I've found on eBay! 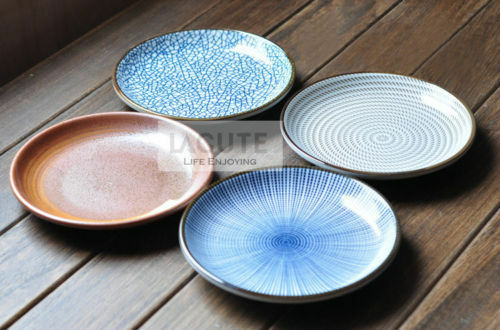 When I came across these lovely ring/trinket dishes I was amazed at the price as the beautiful designs reminded me of something you would pick up in Anthropologie for around £12 each. Perfect as a gift or to keep next to your bed to place jewellery and loose change onto. A bit of a gem find. Another wonderful way to store jewellery here with this stunning velvet case that comes in 10 colour choices. I decided to feature the grey as it would suit my own decor but the hot rose pink was certainly calling to me! This would be perfect to store earrings and rings and even small dainty necklaces to prevent them getting tangled. I also have a feeling that the inner compartment can be removed which would make it idea for storing large statement necklaces in. Again this would make a lovely gift or just a treat to yourself! On to a more simplistic option here to hold any kind of jewellery, in fact I own a similar wooden version that keeps my necklaces and bracelets neat and tangle-free. Perfect for your desk or even in the bathroom to store a few skincare products on. Hope you've found a few inexpensive storage options here!